The Dandi Salt March variously referred to as the Salt Satyagraha, Salt March, and Dandi March spearheaded an entire subjugated nation to rise in mutiny against the imperialist British. 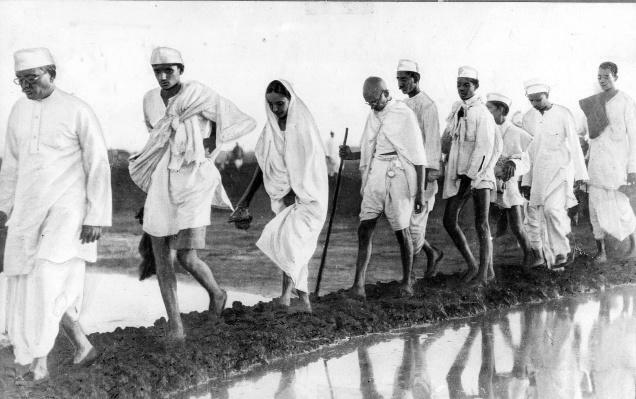 Like all previous campaigns and rebellions organized by Mahatma Gandhi, the salt march that started from Sabarmati Ashram, and culminated on the beach at Dandi, was completely non-violent in nature. Despite the peaceful nature of the march that was orchestrated to protest against the unfair salt laws and unjust imposition of steep salt taxes, it galvanized millions into buying contraband salt or making it that was considered unlawful as well. The Indian National Congress during its Lahore session publicly adopted the resolutions of absolute self-rule (Purna Swaraj) and Sovereignty in 1930 on 26th January. It wasn’t pure coincidence that two decades later India would adopt its Constitution exactly on the same date and observe its first Republic Day. The declaration or the pledge clearly stated that it was the birthright of Indians to “have freedom and to enjoy the fruits of their toll and have the necessities of life, so that they may have full opportunities of growth. We believe therefore, that India must sever the British connection and attain Purna Swaraj or complete sovereignty and self-rule.” And amongst other things, the ruling also included the willingness or promptness to refuse to pay taxes. The Congress Working Committee entrusted the momentous task of organizing a countrywide civil disobedience movement. It was at this juncture Mahatma Gandhi decided that the country’s first ever civil disobedience act would take the form of a Satyagraha directed against flouting the unreasonable and harsh British Salt Act. Gandhi spared no efforts in ramping up support and massive publicity for the Dandi Salt March by routinely issuing statements on the sidelines of his prayer assemblies at Sabarmati Ashram. Journalists and photographers representing the leading mainstream newspapers from around the world including ‘Time’ magazine and the New York Times converged at the ashram to report on the event. The march which commenced from Sabarmati on 12th March and ended on 6th April in Dandi Beach in the year 1930 lasted for a total of 24 days where a total of 48 villages and 4 districts were covered. 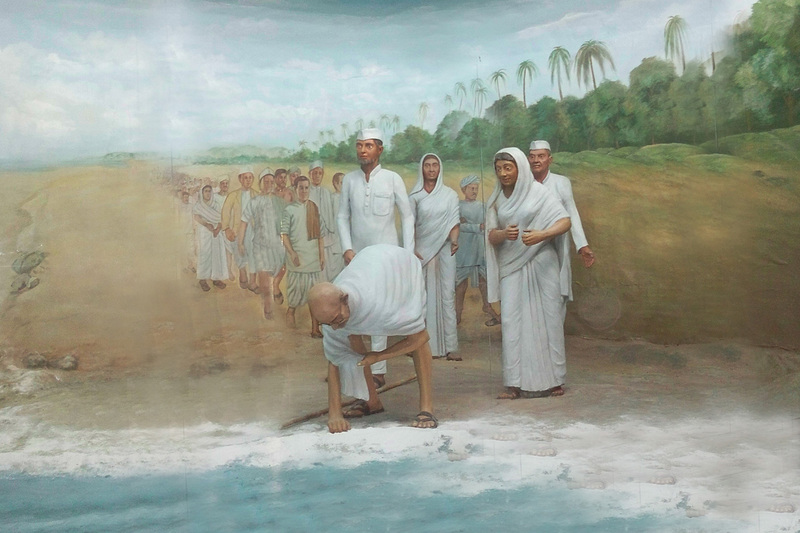 On the morning of 6th April, Gandhi after offering his morning prayers, took a fistful of mud from the beach and declared ‘with this, I’m shaking the foundations of the British Empire’.